KTKT published charts on a weekly basis during 1963. The 1963 charts were of the same style and design as was used for the latter half of 1962. The charts were printed on a piece of paper measuring 8 1/2 inches wide and 7 inches long. Folded in half length wise the paper would form a small four page brochure. A different color of paper was used each week alternating between blue, green, yellow and a pale tan color. The front cover of the chart had the KTKT logo across the top, Just below the logo was the KTKT DJ’s – called the Swinging Seven – pictured and listed inside a large drawing of the number seven. 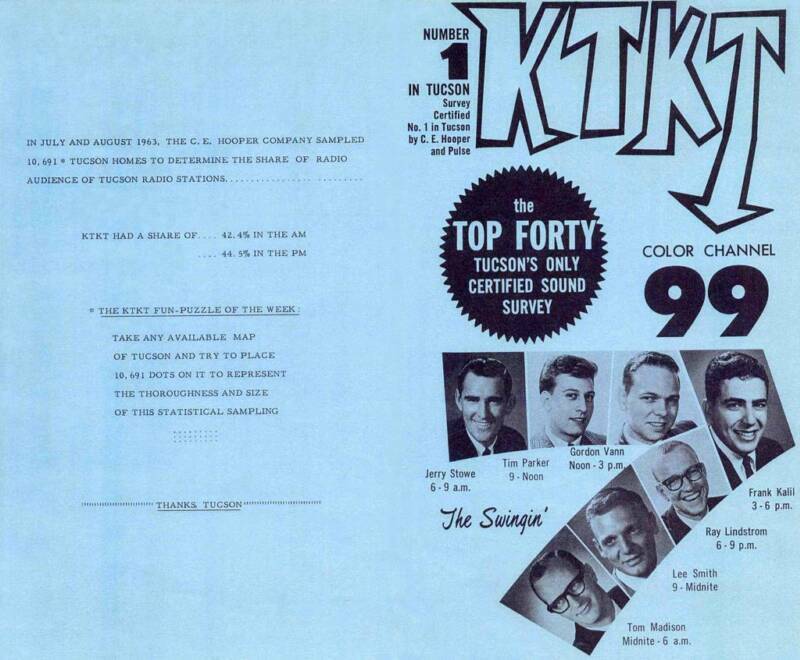 On the upper right hand corner of the chart cover KTKT proclaimed its position of being rated number one in Tucson by both C E Hooper and Pulse – the two big rating companies of the sixties. When this brochure was opened the weekly top 40 was displayed - with 20 songs on each page. The bottom of the page often listed titles for the “Album Sound Of The Day” supplied by Johnny Barker’s Record Counter. The back cover of the chart was used for many things – often KTKT promotional announcements and humorous messages – while at other times ads would appear. Starting with the May 17 1963 issue the familiar 7 UP contest on the back cover went away leaving this space for KTKT promotional announcements. One of my favorite KTKT promotions at the time was the Spooktacular’s that ran at the Fox Theatre in downtown Tucson Saturday nights. Listed below is a link to the images of my 1963 KTKT charts and the covers for each. The Top 99 of 1963 chart is originally from the collection of Jerry Stowe. Used only on New Years Eve 1963 and New Years Day 1964 the chart is an in house only document – a type up list that has been mimeographed. I did my best to clean it up. Song #80 “I Want To Stay Here” is by Steve Lawrence and Eydie Gorme. Tucson – (520) 622 2939. 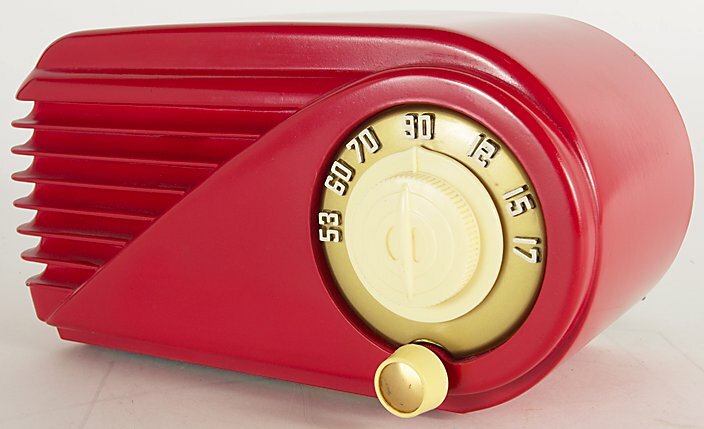 To view a slide show of the charts from 1963, click on the button below. As it appears, you can stop, start, fast forward, or go back by using the controls at the bottom of the page.